Your company needs good quality software, you need it yesterday and it can’t break the bank. for companies of all sizes and in any industry. At Surround Technologies, our mission is to substantially accelerate the development and delivery of high quality, state-of-the-art applications by enabling companies to develop Faster, with Better quality and More robust capabilities. Discover all that software can offer their business. Realize the full value, return, and potential from their software investments. Transform how they envision, develop, and use software to drive greater growth and profit. Be a better place to work and do business with. And make the world better, by making software better, by developing faster, better, and more! We sincerely want to make the world a better place and believe this is the role we can play in that. We're here to help businesses grow, increase their bottom line, and be a better place to work by producing more applications, faster and better than ever before. With our software development and modernization tools, custom technology solutions, and consulting services, you will save time, money, and resources and you will deliver software that people love. 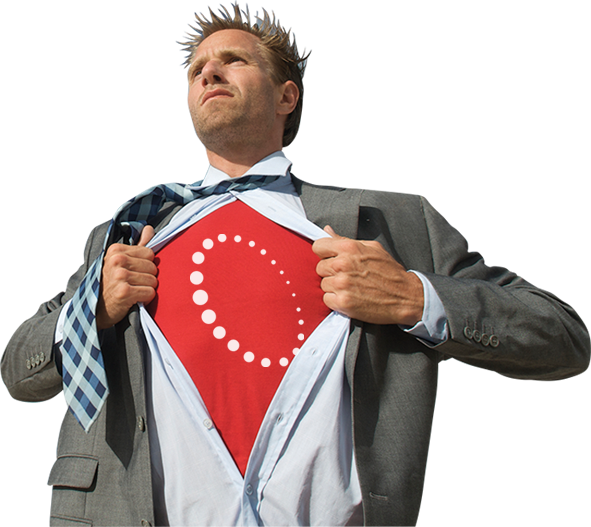 Follow our processes and you'll become software superheroes. We have found that there is much more to software development than the bits and the bytes. It is about the Business that invests in it, the People that use it and the Team that delivers it. It is about the speed and quality of delivery. The results are what matter the most. That is what we focus on. For us, software development is largely about creating a culture of high performance, and motivating and empowering people to achieve organizational goals and objectives. A culture that is rooted in the "Get it done - results matter" philosophy. In today’s world of dispersed workforces, borderless global business, competing priorities, strapped resources, and bombarding online inputs, Surround provides the tools and the necessary people to gets things done in a high quality manner. Foundationally, we align 4 specific elements to build a culture of productivity. Strategy: We apply our broad industry experience to analyze and assess where you are today and where you wish to be in the future to provide a strategy to getting there over a time frame that makes sense for your business. People: We have the people you need for training and mentoring your team in the productivity culture, for assisting and filling in gaps, or for being your turnkey software development team. Process: We provide proven, repeatable, scalable processes for successfully developing software from concept to production to long term maintenance and enhancement. Tools: We use best of breed and our own Accelerator tools to support process execution and unlock development productivity, creativity and innovation. By delivering high quality software quickly to the people that need it, you can deliver the tools they need to be highly productive for the business and get the return on the investment the business is looking for - every single day. Your business executives want software that can quickly adapt to today's rapidly changing technologies and robust enough to stand the test of time. So as the company grows and changes and the requirements expand, the software can grow change and expand with it. At Surround technologies we know that the only way to achieve that is through a solid foundational architecture. An agile architecture that can be quickly adapted to new solutions and that significantly reduces or eliminates maintenance drag. You need to be able to provide clear details about a project and set the appropriate expectations for the users and business executives alike. This means you need to be able to accurately assess and estimate projects scope, effort and time frames; define and communicate a strategy; and execute to and through delivery. This is no easy task and as a result the vast majority of software development projects never get started, are canceled, fail to deliver what is needed, cost more than budgeted or justifiable and/or are completed too late to help. Surround's software development process has proven project after project to deliver solutions the users and the business love in the expected budget and time frame. Surround delivers unparalleled solutions. We incorporate tried and true software, development automation, integration and innovation to deliver the right software to the right people at the right time. The key to this is our own innovations with our Accelerator. Accelerator provides the tools, automation, architecture, pre-built software, standards and processes to form the foundation of your solution so that your development time can be focused on the business specific experimentation and innovation. That is where real cost-efficiency is realized, amazing solutions are born and real business changes are found. Surround Technologies has a reputation for delivering robust, highly customizable, market-leading software solutions and services that underpin successful performance in the modern business environment. Our commitment to providing solid capability and high-quality service drives a chain of repeat business and referrals that has served us well. We build long-term partnerships with enterprises that come to rely on our broad cross-industry expertise and ability to apply that to their specific needs. Technologies are changing faster and faster and your business needs to rely on partners that can be an extension of your team to keep up. Partners that provide valuable experience and insight. Partners you can trust. We are looking for long-term relationships with our customers, because technology is an ever expanding universe where change is the only constant. We are here for our customers to help them identify and respond to the new opportunities that are always arising and we want every one of them to be happy with the solutions we provide. Our broad range of solutions and experience will accelerate your software development and establish a long term culture of productivity and innovation. We're here to help anyway we can. call us at +1 (239) 405-8427, email us at info@surroundtech.com or submit a request from our Contact Us page. If you want to see what we've been up to, like or follow us.